With the opening of the new 60-room Ronald McDonald House Westmead just around the corner, we reflect on the incredible support that the construction of our home has received from the Ronald McDonald House Westmead community. “The realisation of this new House has only been made possible due to the dedication from our board, staff and volunteers and amazing ongoing support from the government, corporates and community,” says Belinda Woolford, Executive Officer of Ronald McDonald House Charities Greater Western Sydney. The current Ronald McDonald House Westmead provides 18 rooms and 5 units to families with seriously ill children. In 2017 however, sadly more than 400 families were turned away with the house at capacity. The new House now offers more than double the capacity, with 60 rooms designed to cater for families of all sizes. Turning away families is a thing of the past. Located within distance from The Children’s Hospital at Westmead, the new House offersmore than double the capacity of the current House. New facilities include multiple room types, a custom designed fully accessible bathroom, numerous retreat areas, a Learning Centre, health and fitness centre, six individual family kitchens and a dedicated Volunteer’s kitchen. “We’re thrilled to now be able to accommodate and support more families than ever before, with 1,360 families expected to walk through our doors in the year ahead,” Belinda added. 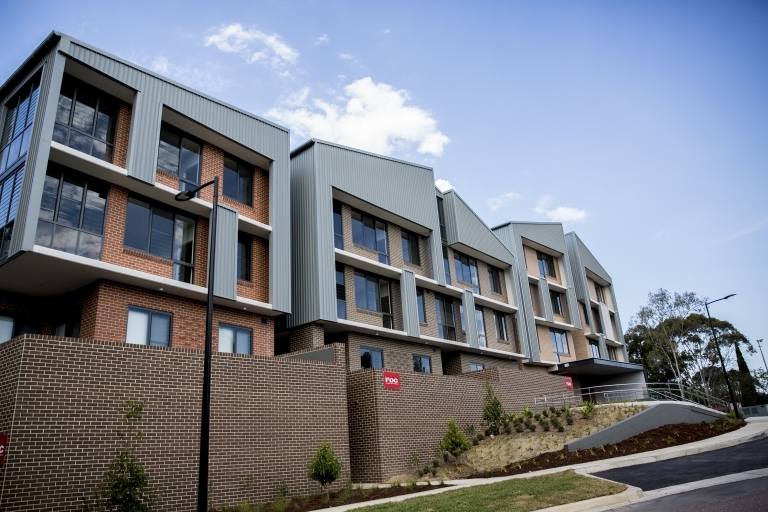 The new Ronald McDonald House Westmead will be open to the public on Saturday 17 February from 12pm-3pm for a Community Open Day. Entry on the day is by gold coin donation, but registration is essential. For more information and to register, please click here.